Fort Worth, Texas (January 13, 2016) – Bell Helicopter, a Textron Inc. (NYSE: TXT) company, will showcase the AH-1Z cockpit demonstrator at the Bahrain International Air Show. Bell Helicopter representatives will be present to discuss the capabilities of the military and commercial products produced by Bell Helicopter, and address how these innovative aircraft serve the mission needs of the region. Bell AH-1Z cockpit simulator – The immersive simulator allows people to experience firsthand the amazing capability of the AH-1Z as they take the controls and fly a variety of simulated mission scenarios in the world’s most advanced attack helicopter. Bell 505 Jet Ranger X– redefining the short light single class of helicopters. The new Bell 505 offers an affordable and advanced option for helicopter training missions. Bell 429 VVIP – a true multi-mission capable aircraft that provides a smooth, quiet ride. 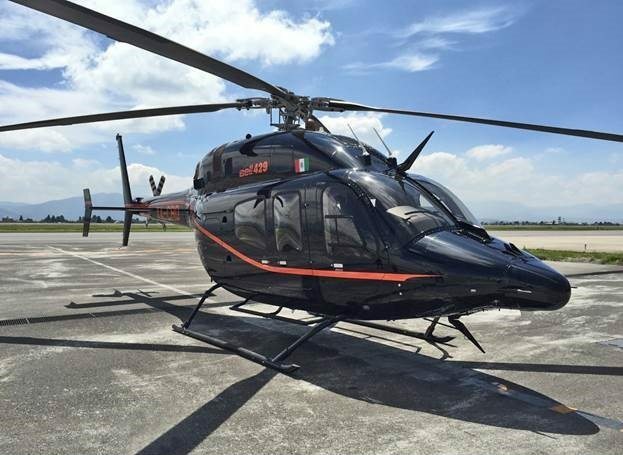 The Bell 429 on display at the Bahrain International Air Show will be outfitted with the VVIP interior, offering enhanced features, comfort, and technology to Bell Helicopter customers. Media are invited to visit the Bell Helicopter exhibit at chalet 18 to learn more about the company’s class-leading aircraft. To secure an interview with Bell executives during the show, or to arrange a session in the AH-1Z cockpit simulator, please contact Andrew Woodward, Communications Manager, Bell Helicopter military programs. The Bahrain International Airshow will return to the Kingdom on 21-23 January 2016.